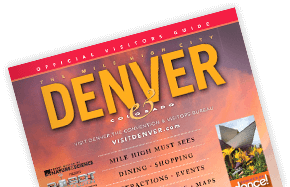 VISIT DENVER would love to help you find the right voluntourism opportunity during your stay in the Mile High City. From keeping the city clean and beautiful to working with seniors or youth in need, the Convention & Visitors Bureau looks forward to helping you determine what will work with your schedule and interests. Please read on to discover the many volunteer and donation opportunities available. Your help will not only enrich the community and environment of Denver, it will also enhance your visit to the Mile High City with memories that will last a lifetime. The American Red Cross, a humanitarian organization led by volunteers and guided by its Congressional Charter and the Fundamental Principles of the International Red Cross Movement, will provide relief to victims of disaster and help people prevent, prepare for and respond to emergencies. Cancer League of Colorado’s mission is to secure the cure or control of cancer by raising funds to support innovative cancer research and cancer-related services in the state of Colorado. Clean the World has a two-part mission: Collect and recycle soap and hygiene products discarded every day by the hospitality industry and other sectors that generate environmental waste. Through the distribution of these and other donated products to impoverished people, prevent millions of hygiene-related deaths each year, reduce the morbidity rate for hygiene-related illnesses, and encourage vigorous childhood development. In 2009, the CCC staff adopted 8 acres of land along the Platte River. We are committed to maintaining this area multiple times a year. Located a 20 min. walk along a path, this activity is accessible and simple to organize. Groups who wish to participate in a community program are invited to contact the CCC Sustainable Program Manager for more information. The Continental Divide Trail Coalition's mission is to complete, promote and protect the Continental Divide National Scenic Trail. The CDTC will do this by building a strong and diverse trail community, providing up-to-date information to the public, and encouraging conservation and stewardship of the Trail, its corridor, and surrounding landscapes. The Volunteer Program's mission is to provide the opportunity for people to take pride in their community, to actively contribute and to enhance the character and quality of Denver Parks. Denver Urban Garden's mission is to cultivate gardeners, grow food and nourish community. Denver’s Road Home partners with our community service providers to ensure homeless men, women and children have an alternative to living on the streets. We will end hunger by efficiently procuring and distributing food and essentials to people in need through our partner agencies in Northern Colorado and Wyoming. At Love Hope Strength (LHS), our mission is to save lives, one concert at a time.We believe that all people deserve quality cancer care, a marrow donor if needed, and most importantly, hope. Our mission is to mobilize and cultivate volunteers as a vital force in our communities. Uniting people, ideas and resources to advance the common good. Our mission is to employ women who have a history that prevents them from becoming employed: addiction, felony or incarceration. We employ them to make reusable bags out of recycled fabrics. RAFT Colorado’s mission is to help teachers build their students’ minds through hands-on, interactive learning. The Delores Project provides, safe, comfortable shelter and individualized services to unaccompanied women and transgender individuals experiencing homelessness and advocates for housing solutions. Motivating and enabling people to become active stewards of Colorado's natural resources. The mission of the Volunteers of America Colorado Branch is to identify and serve the basic needs of the most vulnerable individuals and families in the community. We Don't Waste increases food security and reduces waste by rescuing food from venues, caterers, distributors, and restaurants, then delivering it free of charge to hunger-fighting agencies in our community. Our mission, through the gift of a new bicycle, is to transform the lives of kids from low-income families, broadening their scope for personal growth and a healthy lifestyle. Women’s Bean Project is a nonprofit social enterprise that helps women break the cycle of poverty and unemployment. Women earn a steady paycheck, stabilize their lives and develop solid, transferable work skills while producing our products. At Youth on Record, we believe that young people – those who are both at-risk and written-off – have the potential to turn their lives around. We are committed to bringing our proven methods of empowerment and behavioral modification through music education to youth in Colorado who need it the most.